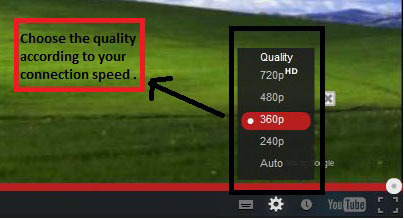 The video is in HD(High Defination) format but you can change the quality accorrding to your connection speed . I will suggest you to see the video in atleast 360p but you can decide it according to your internet connection as you can see it in hd for this simply do as shown in below screen. after clicking on that these option will come choose any of them which will decide the quality . If you like the video and intrested this type of video like swissen on facebook and subscribe Suyash Srivastava.